Energy Drinks. What Parents Need To Know. Walk into any convenience store located near a high school or middle school after the final bell, and you will likely see teenagers purchasing Red Bull, Monster Energy, Rockstar and 5-Hour Energy drinks, these are just a few of the over 200 energy drinks currently on the market. Energy drinks contain up to double the amount of caffeine found in a cup of coffee and also additional ingredients, which have been shown to increase energy and also known to cause death in our youth! Energy Drinks, what’s the big deal? Caffeine is the most widely used psychoactive substance on earth. The neurotransmitter dopamine is a significant driver for the brain’s alertness and attention systems. The average cup of morning coffee has 95 mg of caffeine and increases available Dopamine by 400%. The effect is that the consumer feels more stimulated and ready to face the day. Energy drink manufacturers take advantage of this brain system by adding extra caffeine and additional products known to increase energy including sugar, glucose, taurine, and ginseng. 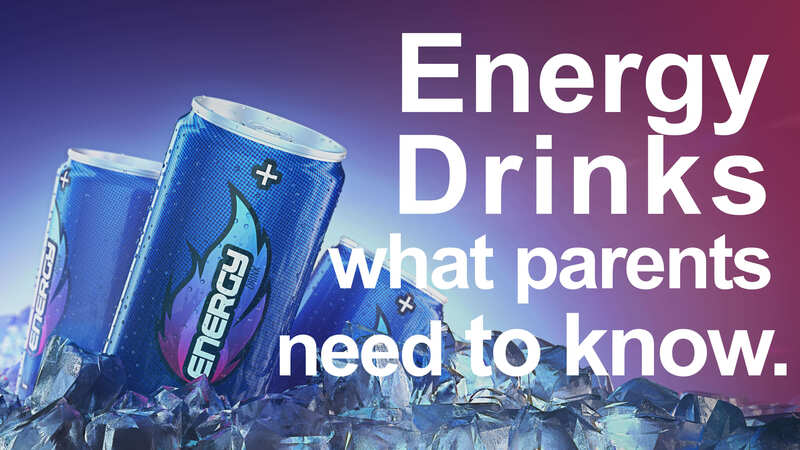 How much extra caffeine is in energy drinks? 5-hour Energy packs in 200 mg. per 1.93 oz. While these are considered safe standards for adults, there has been no safe standards set for children and teens. While a bit of a coffee drink or a soda now and then isn’t going to dramatically affect a teens development, joining the energy drink craze will. Depression, anxiety, stress and sleep disruption. Death. This past fall, a 16-year-old boy in Chicago died after consuming an energy drink, a soda, and a latte in a short period. His heart couldn’t handle it. While the target demographic for these products is 18-34 year old’s (males in particular), the National Institute of Health found that one-third of 12-17-year-olds drink them regularly. It’s also not hard to see how the marketing of this $55 billion global industry is directed to young people. If you watched X-Games this winter, you couldn’t help but notice the advertising. Energy drink companies sponsor action sports from NASCAR to professional bull riding. It’s easy to see the marketing towards males when the Monster Energy girls parade around the various winners. Adding to the youth appeal is the endless supply of sweet berry and citrus flavors. Start with educating your child about how these products impact their health. Set a standard at home and make sure your teen knows that this standard applies at home and when he or she is out on their own with friends. Be aware of the research regarding the effects of caffeine and the other ingredients added to these drinks and the impact on younger brains. Be an advocate for warning labels to be required on energy drinks, as well as, age restrictions for the purchase of these products.